These nine TV shows like Shadowhunters might ease the pain of the show’s cancellation. 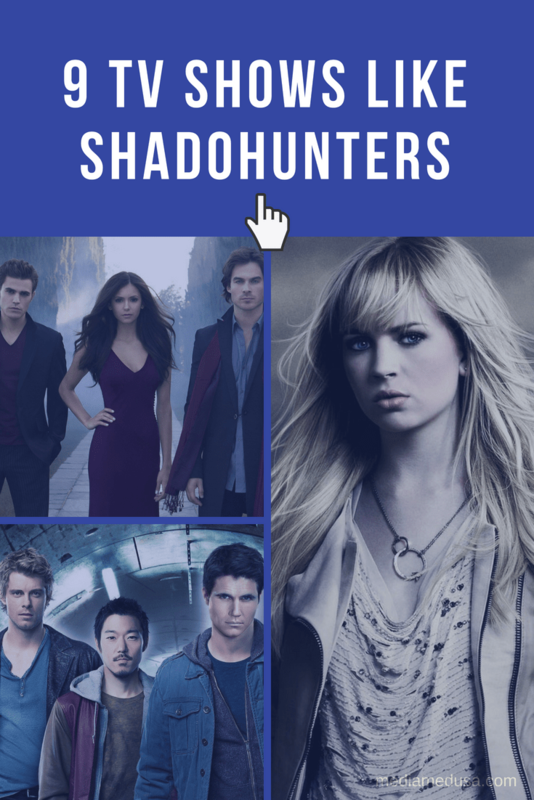 Freeform recently announced that Shadowhunters will end with a two-hour series finale in the spring of 2019 that will wrap up the tale of the Shadowhunters and Downworlders that fans have loved over the past three seasons. Disclosure: This blog post contains affiliate links. Media Medusa makes a small commission — at no extra cost to you — if you make any purchases using these links. Shadowhunters has a legion of fans tuning in to see that show. What are we to do once Shadowhunters is gone? Here are nine TV shows like Shadowhunters that might fill that hole in your heart. Starring Jensen Ackles and Jared Padalecki, Supernatural is becoming The Simpsons of live-action TV shows. They’re on Season 13 and there’s no stopping them. In fact, this season Supernatural had an animated Scooby-Doo episode. Supernatural is about two brothers whose mother is killed by a demon when they’re kids. Their dad takes up the torch to hunt down this demon. Years later that very same demon kills him, so it’s left to the brothers to take on dad’s demon-hunting business. They investigate paranormal activity and take down any monsters they find. The Originals is in its fifth and final season. You may not have heard of Alphas. Alphas aired on Syfy several years ago and was short-lived, only 24 episodes. Alphas is about a team of people who investigate supernatural or paranormal activity. But they themselves have paranormal powers, like telekinesis, hyperkinesis and the ability to detect electromagnetic traces. Alphas starred David Strathairn (Billions, The Blacklist) and genre fan-favorite Summer Glau (Firefly, Serenity). Very famously, Nina Dobrev who played Elena, left two seasons before the show ended. The Vampire Diaries ended after eight seasons. Fans love The Vampire Diaries, not just because of the good-looking people, but also because it had really smart writing and the stakes were high. (Get it? Stakes?) Meaning that people’s choices had real consequences. Give The Secret Circle a chance because it starts off a little slow, but around the third or fourth episode, it gets really serious and really dark. I also like The Secret Circle because it stars Britt Robertson, who I kind of fell in love with when she starred in Tomorrowland. Like a dude doesn’t have enough to deal with when he’s in high school. On Teen Wolf, Scott McCall is bitten by a werewolf. (He is bitten while he’s out in the woods looking for a dead body with his BFF. I mean…) He winds up falling in love with the new girl at school, whose dad is out to hunt the werewolf, him. Teen Wolf is all about Adam trying to control his powers and his anger, while avoiding death at the hands of either the girl’s dad or the alpha who bit him. When I say Beauty and the Beast, I don’t mean the show from the ’80s. I mean the one starring Kristin Kreuk, the girl from Smallville. Kreuk plays a detective who finds out something dark and shady about her family. Meanwhile, she’s in a relationship with Dr. Vincent Keller,who has a secret of his own. Thanks to some government experimentation, he’s a lot like Dr. Jekyll and Mr. Hyde. They go on the run, and all the while he’s trying to control his powers. You know, it’s the typical “I’m in love with a monster, so how good of a relationship are we going to have?” kind of story. The Tomorrow People is a lot like an X-Men story, or The Gifted on FOX. The Tomorrow People is about a group of people who are being hunted because they have powers, like telepathy and teleportation. They’re being hunted by a group of government agents called Ultra. The Tomorrow People is full of the same clichés that you see on a lot of sci-fi TV shows, but that’s part of the fun; The Tomorrow People doesn’t take itself too seriously. Yes, Legends of Tomorrow. It isn’t so much about paranormal activity, but it is about a group of misfits who come together to investigate other occurrences. That’s nine TV shows like Shadowhunters you can watch when your beloved series comes to an end. Do you have a suggestion? Tell me in the comments! OMG I have to watch Secret Circle!!! Who knew?? I know, right? Too bad it was canceled so quickly. That is an excellent point. When a network says they’re changing their vision, or whatever, I don’t know if there’s hope.